My running journey began in 2013, at a time in my life when I was overweight and had lots of self-esteem issues with my weight and lifestyle choices. As a teenager I was very sporty and active but as a young adult I let myself go and my body paid the price. I have 2 amazing sons and after the birth of my 2nd boy in December 2012 I made the decision to take my life and most importantly my health back. My best friend was a runner and she inspired and motivated me to start running. 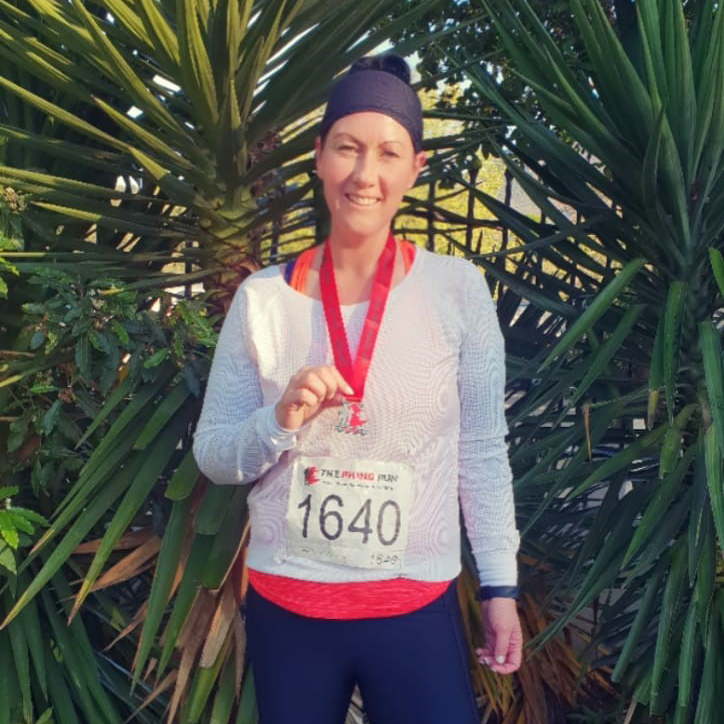 When I began I could barely run 100 meters but I started slowly, every step was an accomplishment and with determination and lots of will power I turned 100 meters in to 3km’s, then 5, 10, 15 and 2 years after my journey began I completed my first half marathon. When I started running not many people believed I would see it through. I was known to start things but never finish them, but running very quickly began a place of solitude for me and it was something I was proud of, for the first time in my life I was proud of me. I have been in the trap of an unhealthy lifestyle, I have had to wear my “training wheels” when running for a long time but I would like woman to join me in celebrating one another as we come together and enjoy life and healthy choices with running. Download the App to join Alaine’s Group Runs.